Discussion in 'Other Pets & Livestock' started by Ohne-Fehler, Jan 7, 2011. 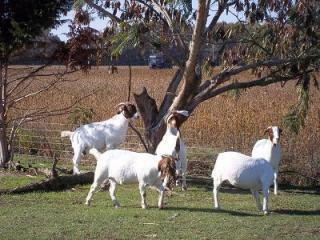 Just for fun here are a few pictures of the goats. These represent both mine and a friends herd, they all live on the same farm and we both work together to manage them. Though I do the majority of the fitting and showing. Jasmine my three year old Toggenberg doe. Topaz a February kid from this year that was show very successfully this year. Due to kid next month. Magnolia, one of the April kids from this year. Dante, a buckling thats serving as a herd sire over sea's. He had escaped this day and I just had to take a picture of him. Nubian kids playing on a warm spring day. There is just something about a Nubian kid running that reminds me of an airplane taking off. Hope you like the pictures and I look forward to seeing others goats. This is Jack Sparrow and Sassy. Their mama had 1 teat that was dry so they fought over 1 teat. By week 3 their mama would either lie down or run to get away from them coz they tore the good teat to shreds fighting over it. They learned at an early age to fend for themselves. 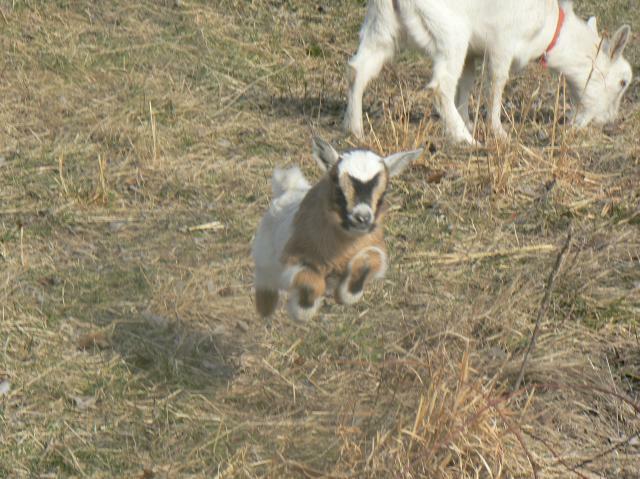 When the goats were shouted in for meals poor Jackey Boy took forever to walk up the pasture. He would be coming in the door as everyone else was walking out after a good feed and they would just trample over him. I ended up taking him and his sister who were half the size of all the other babies born that year. They're all cute/beautiful, but Magnolia is just gorgeous! Verry cute goats and great pictures!!! Bella and the first of the triplets she had that year, this one was a buckling named Lupin. This was the last kid born, a buckling who loved the ladies from the minute he was born. We named him Sirius (my avatar picture). Tonks was the only girl we got that year and she had a special place in our hearts. Fleur, one of Bella's kids from a previous year and her first kid, Dobby. Bella and Fleur the day we brought them home. see more on my website!!!! Quote:Oh I love your buck, hes a handsome dude. 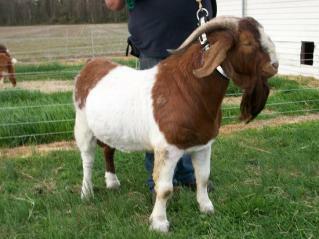 Quote:Thank you she is a very eye catching little goat, and confromationally very nice too. She is going to show dry again this year and with luck she will get her restricted leg . She was always top three this summer just couldnt beat her sisters . Here is another pic of her from mid summer once she grew out. I really do like her . Quote:Thank you we put alot of time and work into them, all in the hopes that next years kids will turn out better than the last .